Fort Collins, Saturday, March 31st at 1pm. 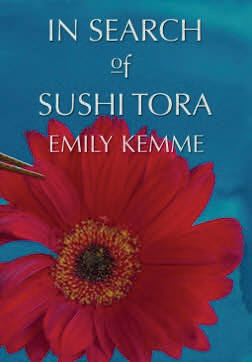 “Sushi Tora explores the raw, vinegary rice of marriage, and evaluates its purpose. Readers will recognize common trials of life, portrayed in the scholarly novel, as their own. Lawyer educated Lucy, now troubled housewife, and District Judge spouse Barry experience marriage problems. Unique survival solutions are addressed. Noteworthy: The reader self-recognized potpourri of life’s common problems are uniquely examined with literary excellence, pictorial adjectives, and metaphorical parallels. Women readers will relate to career vs home support of family and the conflicts. Women will gain insight into overcoming trials of marriage, creating a better life’s path for self while answering the question ‘who am I? '” Find out more at the Book’s Website.